Motion blurs the bright areas of the source into streaks between the From and To transformations. This can be used to create an extended film exposure effect, or simulate soft beams of light. From and To parameters do not refer to time. They describe the two transformations in space that determine the style of blur applied to each frame. Exposure Bias: Default: 0, Range: 0 to 1. Mix Src Darks: Default: 1, Range: 0 or greater. The dark non-streaked components of the Source are scaled by this amount and added to the result. This allows combining the streaked and non-streaked versions of the source clip. Mix Src Brights: Default: 0, Range: 0 or greater. The original bright components of the Source that were used to generate the streaks are scaled by this amount and added to the result. This allows combining some non-streaked bright areas of the source clip with the output. Scale Streaks: Default: 1, Range: 0 or greater. Scales the brightness of the streaks. Scale Result: Default: 1, Range: 0 or greater. 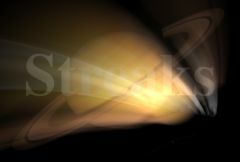 Streaks are generated from locations in the source clip that are brighter than this value. A value of 0.9 causes streaks at only the brightest spots. A value of 0 causes streaks for every non-black area. This can be used to raise the threshold on a specific color and thereby reduce the streaks generated on areas of the source clip containing that color. Wrap: Popup menu, Default: No . If enabled, uses a better quality but slightly slower method for rendering the streaks. Streaks Res: Popup menu, Default: Full . Selects the resolution factor for the streaks. This is similar to the general 'Res' factor parameter, but it only affects the streaks: the original mixed with the streaks remains at full resolution. Higher resolutions give better quality, lower resolutions give faster processing. Half: The streaks are calculated at half resolution. Quarter: The streaks are calculated at quarter resolution. Combine: Popup menu, Default: Add . Determines how the streaks are combined with the background. Add: causes the streaks to be added to the background.